The Monimax 8200QT features an open architecture and modular design, providing the flexibility to take advantage of the current and evolving ways in which customers utilize the institutions branch network. For branches with limited floor space and lower traffic, this provides the ideal consumer experience and investment return. The Monimax8200QT modern look and feel is just what customers expect in todays service economy. The advanced cash recycling technology built by Nautilus Hyosung will help financial institutions benefit from cash dispensing, cash deposit, and recycling. In this manner, cash is efficiently managed. All five cassettes can be operated independently in dispense, deposit, and recycling mode to enable optimum utilization for effective self service operations. With the addition of a check acceptance module, check deposit is enabled. 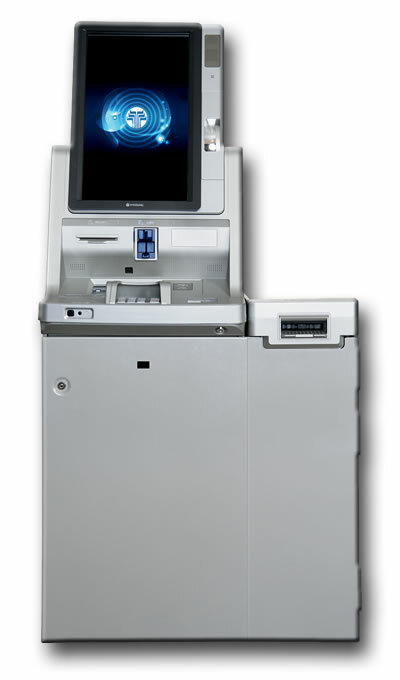 The Monimax8200QT is designed to facilitate the move of a high percentage of routine transactions from the teller line to the self service channel. In this manner, the role of the branch personnel evolves from transaction service to relationship building and sales. Ease of maintenance and simplified service ensure high availability and uptime with little operational intervention. The Monimax8200QT is designed and engineered with the quality and craftsmanship you have come to expect from Nautilus Hyosung.